Kathmandu Garden of Dreams | Nepal Cultural Heritage Landmark. 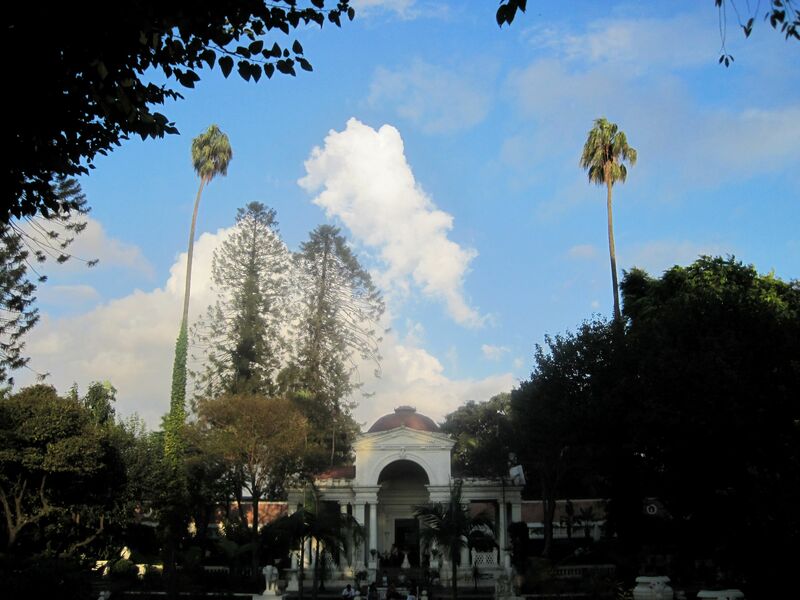 Kathmandu "Garden of Dreams" is the legacy of a visionary man Keshar Shumsher JB Rana. The neo-classical design took inspirations from Sanskrit literature. It is one of tourist attractions and Nepal Cultural Heritage Landmark. Garden of Dreams: The Vision of Kaiser Shumsher. After few busy days in Kathmandu full of usual tourist activities, confronted with hectic lifestyle of the Nepali Capital you start to long for a moment of peace. You begin dreaming about a place where your mind, body and soul torn apart by this madness can re-connect together restoring much needed internal balance…..
Well, the dream came true when walking along the impenetrably high and solid wall on the Tridevi Marg street (not far from Narayanhiti Palace Museum) I spotted a blue sign reading “Garden of Dreams”. In this bustling area of Thamel such heavenly words sounded like the best music to my ears. As it soon turned out, the reality exceeded expectations (true, not flying high at the time of overwhelming fatigue). 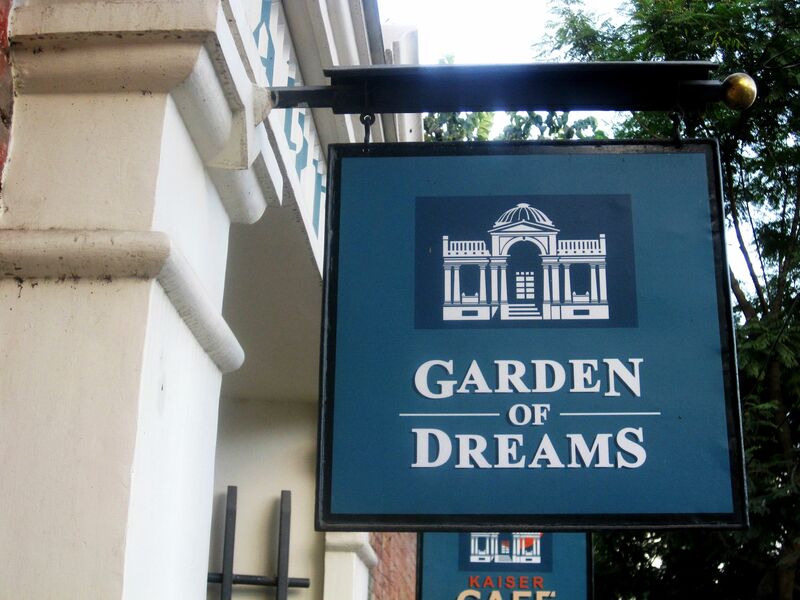 Well, the dream came true when walking along the impenetrably high and solid wall on the Tridevi Marg street (not far from Narayanhiti Palace Museum) I spotted a blue sign reading “Garden of Dreams”. In this bustling area of Thamel such heavenly words sounded like the best music to my ears. As it soon turned out, the reality exceeded expectations (true, not flying high at the time of overwhelming fatigue). The small and uninspiring entrance opened the totally different world jealously hidden behind the walls. Truly, the Garden of Dreams is a beautiful verdant place with large pond at the center surrounded by flower garden, pergolas overgrown with climbing plants, old trees, fountains, grass terraces and masterpieces of neo-classical architecture. 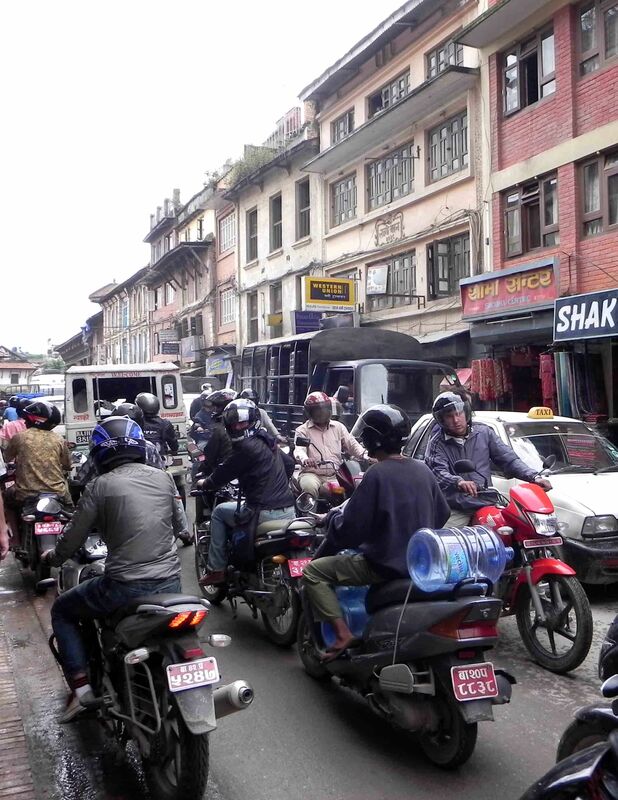 Just few yards after crossing the gate the noise of cars, motorbikes, honking taxis fades away…. 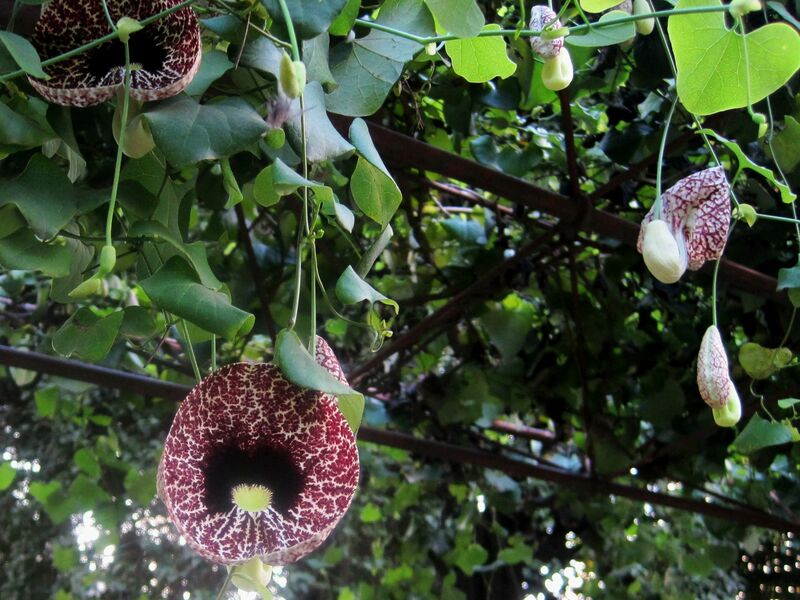 Given the total surprise one could say – the biblical Garden of Eden. Plan of the original Garden of Dreams. The recently revived section is shown in colors. It all started in early 1920’s thanks to the vision, knowledge and talent of an exceptional man – Field Marshall Keshar Shumsher Jung Bahadur Rana. Diplomat, scholar, man of literature and art as well as a passionate botanist - Keshar Shumsher was member of the powerful Rana family ruling the Kingdom of Nepal from mid 19th to mid 20th century. He is probably better known as Kaiser Shumsher. Being an admirer of Franz Joseph - Emperor (in German language - Kaiser) of Austro-Hungary he preferred to spell his name as “Kaiser” rather than “Keshar”. The time proved that it was not a one-sided respect. The Kaiser Franz Joseph (or rather his compatriots) found the way to show appreciation…. Frequent visits to Europe in ranks of Nepali ambassador inspired Kaiser Shumsher JBR to create in Kathmandu the garden of his dreams. The design and supervision of construction works was assigned to the famous Nepali architect Kishore Narsingh. His enormous experience from previous ambitious projects in Kathmandu combined with elegance and style of Kaiser Shumsher gave birth to one of the world’s finest private gardens of that time. The original design was generously taking from rich poetical Sanskrit literature. For example six neo-classical pavilions were dedicated to six Nepali seasons based on Ritusamhar – an epic work of Kalidasa. It’s worth to mention that this theme was later adopted by Rabindranath Tagore (Literature Nobel Prize Winner) for his music and poetry. Kalidasa’s and Tagore lyrics describe nature as a cyclical flow of seasons reflected in colors, shades and ambiance interwoven with human emotions and feelings. To better illustrate the elaborate design of the garden and sophistication of its founder – Kaiser Shumsher let me shortly introduce the concept of Six Seasons. Nepal clearly has five seasons (the fifth one is monsoon) but poetry, by deeply reaching into human souls may “see & feel” more…..
Grishma (in Sanskrit Summer) is a time of dry heat and dusty winds. But in the world of poetry it is time of hope, time when nature waits for rains and storms to quench thirsty and beaten by waves of heat earth…..Despite the heat, hearts cooled down unable to beat faster…. Varsha (Monsoon) – downpours wash the earth, while gods from behind the cloudy sky shoot arrows of lightning and sounds of thunder… Lovers’ hearts are frightened…. Sharad (early autumn) – Life recovers from deluge, gentle breeze embraces fragile flowers spreading sweet fragrances, widely open sky with twinkling stars showers the earth with joy…. love awakes in innocent hearts…. Hemant (late autumn) –, it is time of full moon, nature is drenched in moonlight, “pregnant” trees are ready to deliver - offering their sagging under the weight of fruits branches, streams are full of fish, “matured” crops colored fields…. The time is ripe for harvest while lovers’ hearts for passion…. Sharad (winter) – It’s time of misty mornings, chilly breeze… Moonlight seems to be colder, fading stars take away the joy,…. love matures….. I guess these poetic allusions linking garden’s architectural design to masterpieces of literature, music and art give some light into sophistication and refinement of the Garden of Dreams and the man behind it – Kaiser Shumsher JBR. With the fall of Rana’s dynasty in early 1960’s, the garden (handed over to government of Nepal) has been gradually falling into ruin. The pavilions were crumbling, paths and opened spaces were loosing to weeds, “jungle” took over exotic plants, mud replaced water in ponds…. And then the worst happened - in a “sign mercy” (or rather lack of imagination) the city of Kathmandu signed the “death sentence” by taking almost half of the garden for urban development. Time was running out to save from oblivion this masterpiece of nature and art, of human skills and vision of one man….